Moth can cause devastating damage to wool and silk fibers. The moth will lay eggs in your rug and the larvae feed on the natural fibers which can leave the rug very unsightly and weak. 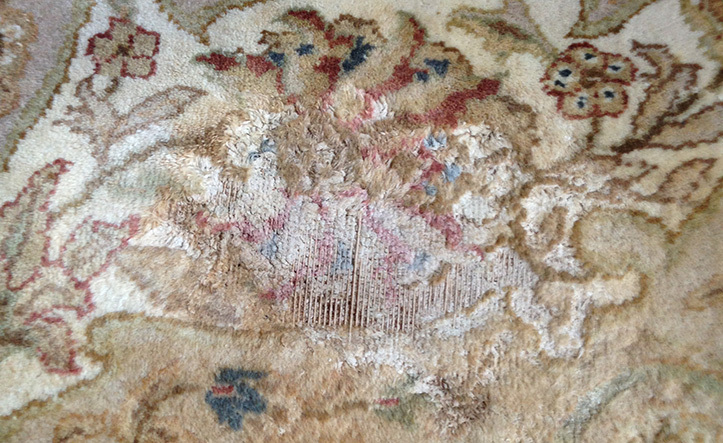 Often times if not taken care of right away, moth damage can cause irreversible damage to your area rugs. This is why we offer a moth proofing solution to be applied onto the area rug itself. This will help deter any moths and larvae from your rugs.